How much would you expect to pay for piano lessons? Is your choice of teacher based purely on the price they are charging for lessons and whether the teacher offers “value for money”? Or do you consider other factors such as the teacher’s credentials and experience, recommendations or testimonials from existing students? 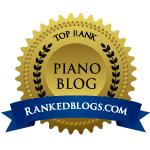 The problem with private piano teaching in the UK is that it is unregulated and anyone can set themselves up as a teacher and charge what they like. The teacher who advertises via a card in the window of the corner shop might be offering very competitive rates at just £15/hour for lessons, but how do you know if this teacher is any good? The Incorporated Society of Musicians (ISM) publishes an annual survey of fees for private music tuition in the UK which provides a useful benchmark for teachers when setting fees and for prospective students who are looking for a teacher. Don’t be tempted to go with a teacher just because their lesson fees are low or seem very “competitive” (or “cheap”). Such teachers may not be sufficiently qualified/experienced (I have come across people with barely a Grade 6 pass to their name who have set themselves up as piano teachers) and those who charge very low fees undercut – and, more importantly, devalue – the work of established professionals who have undergone specialist training and/or are highly experienced. What are the teacher’s qualifications (e.g. music degree or BA Ed, teaching or performance diplomas) and other credentials (experience, for example)? Does the teacher hold an up-to-date DBS certficate (crucial in today’s climate of child protection)? The ISM has a directory of registered teachers who are required to undergo a full DBS check before they are added to the register. Does the teacher freely offer references on request? Does the teacher come recommended by existing or former students/parents? Does the teacher invite you and/or your child for an interview or chance to meet in person before you decide to go ahead with lessons? If you are a teacher, consider the above factors when setting your fees and do refer to the ISM fees survey for guidance for the average fees for your area. Be mindful of how people perceive “value for money” – if your fees seem low, people may think you are not a good teacher (this attitude seems to prevail in more affluent areas), too high and you may price yourself out of the market.